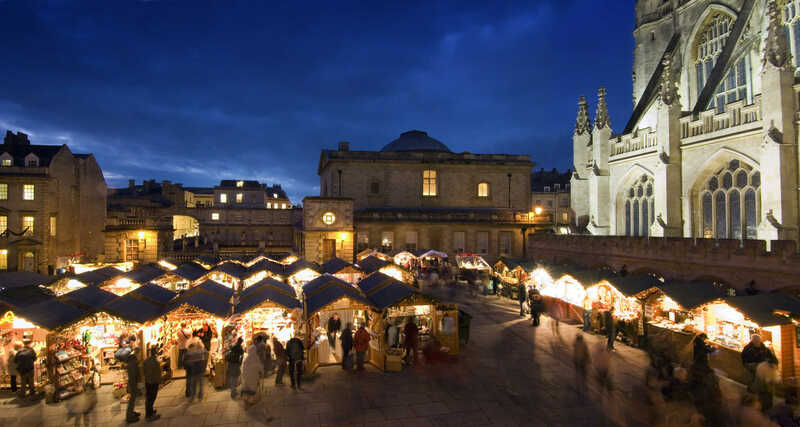 In Bath, the lights switch on at Southgate (the city centre), on the 15th of Novemberwill be marking the real countdown to Christmas whereas in Bristol, it will take place on the 9th of November at the Cabot Circus Shopping Centre. If you’re planning a Christmas Party or a winter getaway near Bath, the Limpley Stoke Hotel located at only 4 miles from the City centre is an ideal setting. The Limpley Stoke Hotel is in a lovely Georgian-styled building overlooking the Limpley Stoke Valley, a fantastic landscape (especially when it snows), making it ideal for a Christmas Getaway. Located at only four miles from the centre of Bath, the Hotel is accessible by Bus (The First Bus services are at only five minutes from our premises) or car – we have free car parking spaces for our guests. We offer a selection of various comfortable, well-equipped rooms with modern day facilities with stunning views*. Throughout December, we offer a selection of Christmas themed and NYE parties at the Hotel. Also, if you prefer to celebrate your own, we can host a maximum of 200 guests and provide you with plenty of options for a superb party atmosphere. The Wild West Theme night on the 22nd of December has been cancelled. In its place there will be an 80’s themed night. The James Bond Party (15th Dec) and the 80’s theme night (8th Dec) are sold out.